You never know when your furnace will break down, so at Pinnacle, we’re ready to help around the clock. Whether you need us at 3:00 pm or 3:00 am, we are ready and waiting to serve you. Our 24-hour repair service means when your furnace goes out on the coldest night of the year, we’ll be there quickly to get you back to comfortable in no time. Our furnace technicians are a cut above the average. Not only have they received special training to know how to work on all furnaces, no matter how old or what make or model you own, they are also background checked and drug tested for your peace of mind. You never have to worry about who you’re letting into your Framingham home when you call Pinnacle. At Pinnacle, you get superior service at a fair price. With our flat-rate pricing system, there are never any ugly surprises. 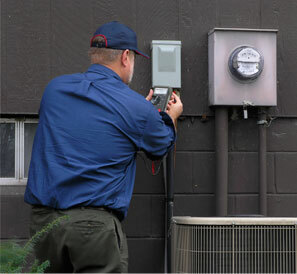 Our technicians will diagnose the problem and give you an estimate before any furnace repairs are done. That’s what has kept our Framingham customers happy since 2001. Excellent service shouldn’t cost you more and at Pinnacle, it never will. If you need furnace repair, call Pinnacle HVAC at (781) 647-7117.